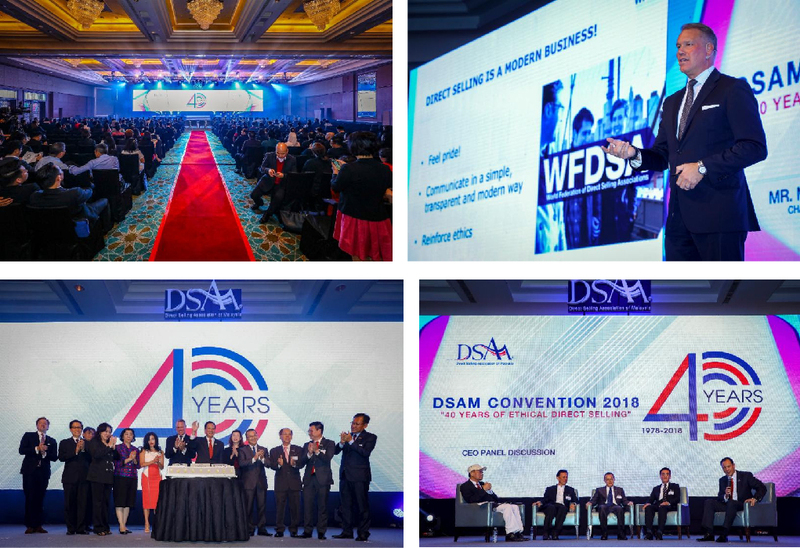 DSAM celebrated her 40th anniversary with a Convention and Gala Dinner on September 26, 2018 with over 700 participants from DSAM’s 114 Member Companies who attended. To start off the anniversary celebration, a DSAM humanitarian project was carried out on September 25, 2018. 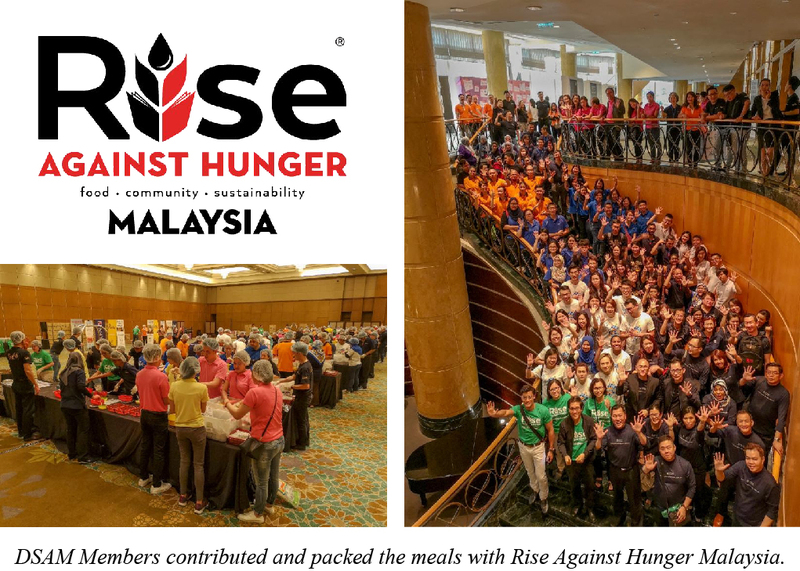 More than 160 volunteers from DSAM Members gathered at Mandarin Oriental Kuala Lumpur to pack almost 80,000 meals in collaboration with Rise Against Hunger Malaysia (RAH). The funds, which were generously donated by DSAM Members, went towards providing these life-saving meals to alleviate hunger in areas that matter most, namely in poverty stricken areas, areas affected by natural disasters, etc. The 40th Anniversary Convention themed “40 years of Ethical Direct Selling” was held on September 26. Main highlights of the convention were the keynote address entitled “Direct Selling in a Technologically Enhanced Future” presented by Magnus Brannstrom, Chairman of WFDSA, “Global Direct Selling updates” presented by Tamuna Gabilaia, ED and Chief Operating Officer of WFDSA, and a Panel Discussion entitled “40 years of Ethical Direct Selling” consisting of founders and leaders from four DSAM Member companies. To top off the afternoon’s events, a cake-cutting ceremony was held by WFDSA and DSAM, both of whom are co-celebrating their 40th Anniversaries. In the evening, the celebration continued with the 40th Anniversary “Ruby Red” Gala Dinner. YB Dato’ Saifuddin Nasution Ismail, Minister of Domestic Trade and Consumer Affairs graced this event and delivered his keynote address. 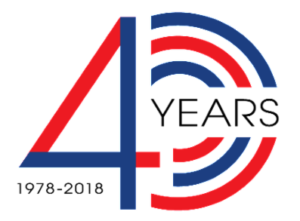 The night’s festivities continued with the recognition for 42 Member Companies who had joined the association for 10 to 40 years. 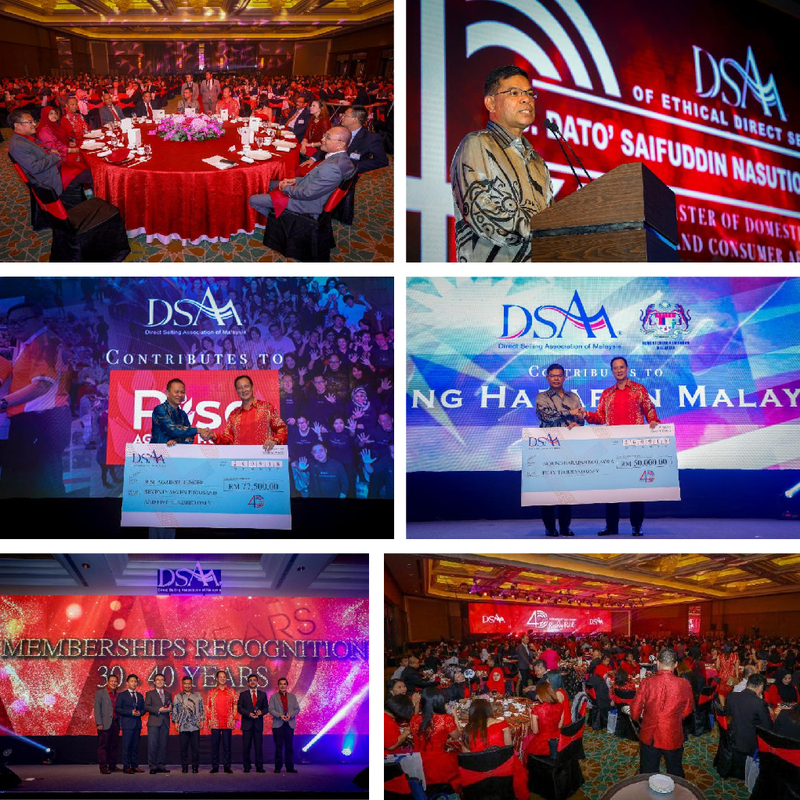 Dato’ Saifuddin later received on behalf of Tabung Harapan Malaysia, a RM50,000 donation from DSAM. There were also lucky draws for the attendees who were entertained by Guinness Record Holder Mark & Pinky, and a special appearance by Ning Baizura. DSAM thanks all its Members for their participation and contributions to RAH. Special thanks goes out to Mandarin Oriental Hotel Kuala Lumpur for being the venue sponsor for RAH, our Platinum Sponsors – BE International Marketing Sdn Bhd, Coway (M) Sdn Bhd, QNet (M) Sdn Bhd, Sahajidah Hai-O Marketing Sdn Bhd, and our Gold Sponsors – Elken Sdn Bhd, Forever Living Products (M) Sdn Bhd, Isagenix (Asia Pacific) Malaysia Sdn Bhd, K-Link International Sdn Bhd, Mary Kay (Malaysia) Sdn Bhd, Nu Skin (Malaysia) Sdn Bhd, Perfect Pentagon Sdn Bhd, Sunrider International (Malaysia) Sdn Bhd and UHS Essential Health (Malaysia) Sdn Bhd. Photographs, videos and presentation slides can be downloaded from DSAM’s website in the Members Section.